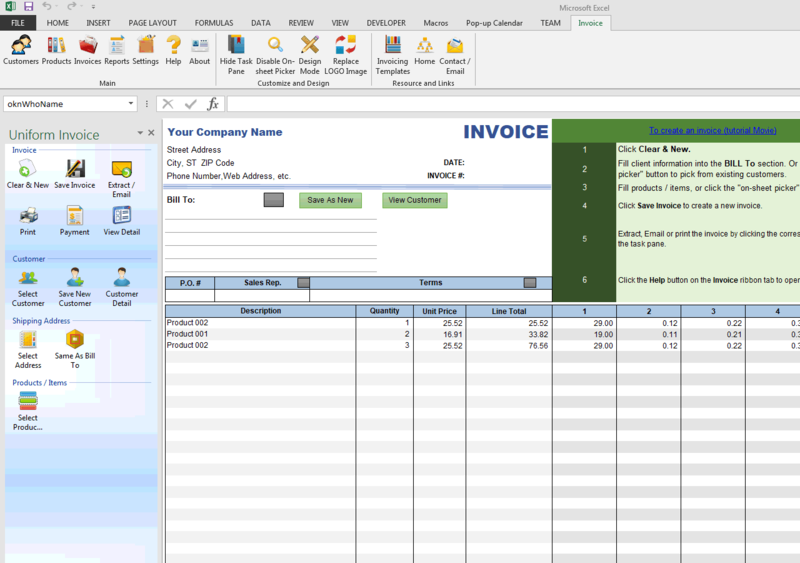 c4015 now includes the customized invoice template for the latest version of Invoice Manager for Excel. 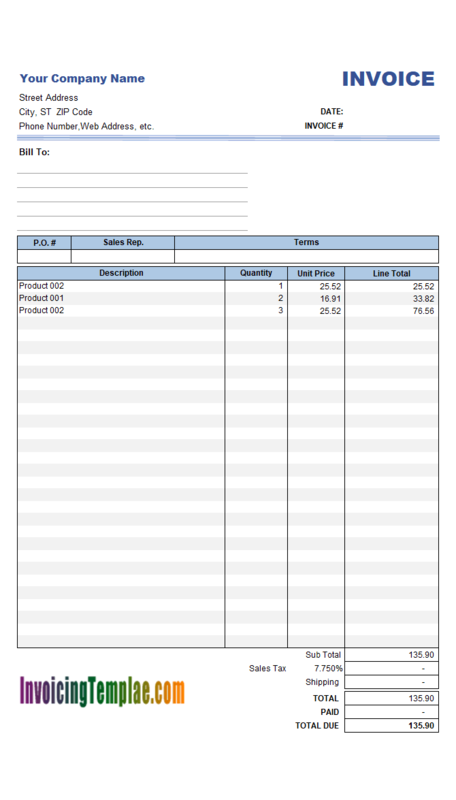 This is what you will see when you open five-price-levels-service-percentage.xlsx. 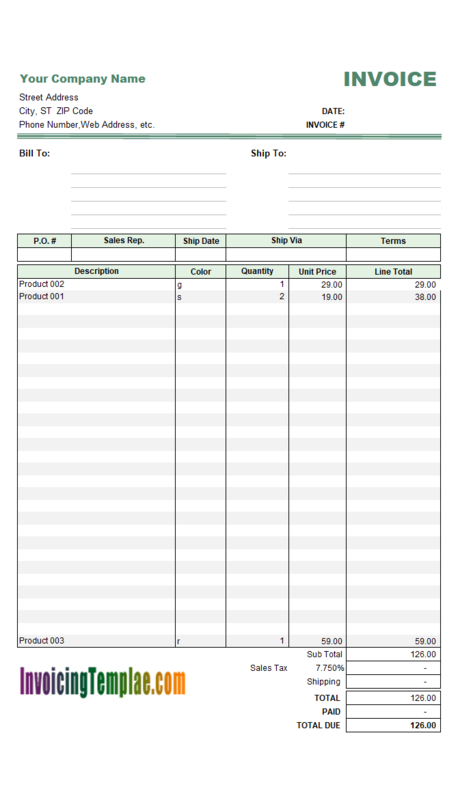 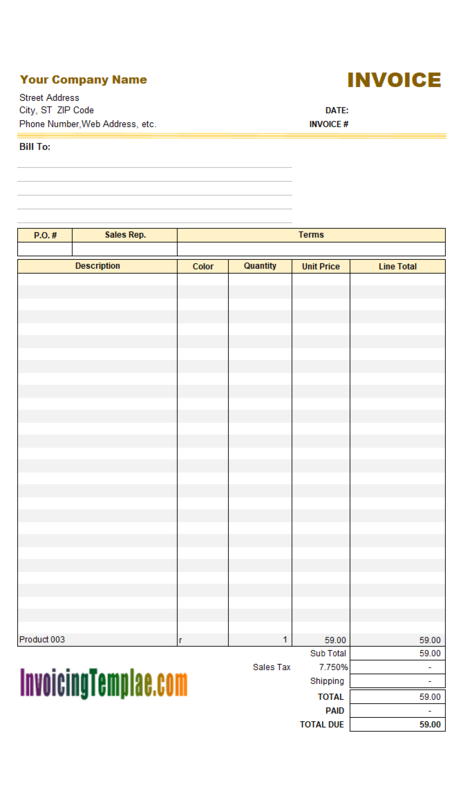 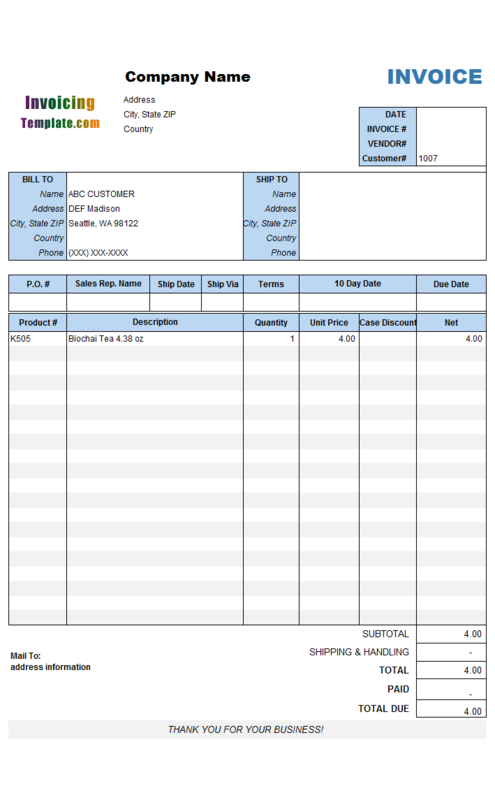 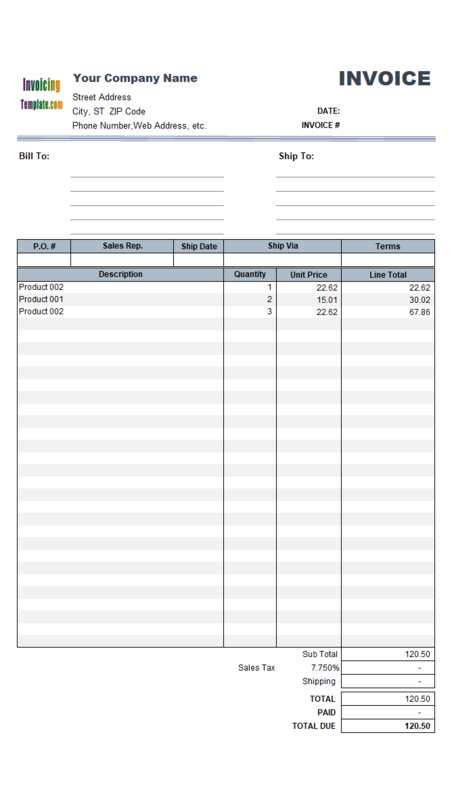 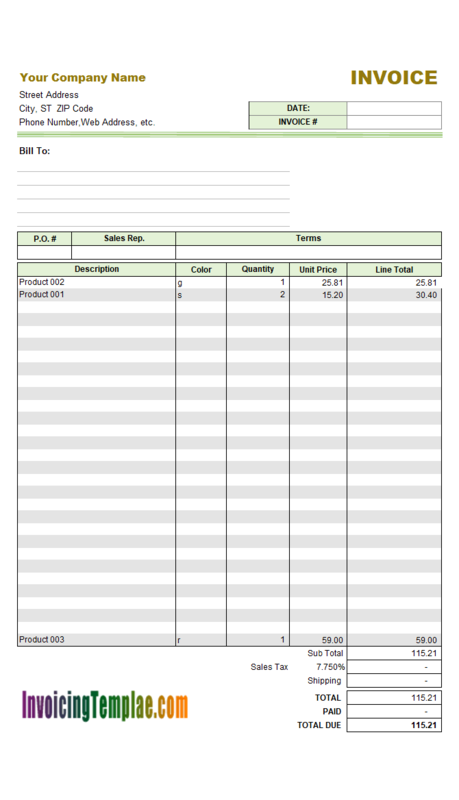 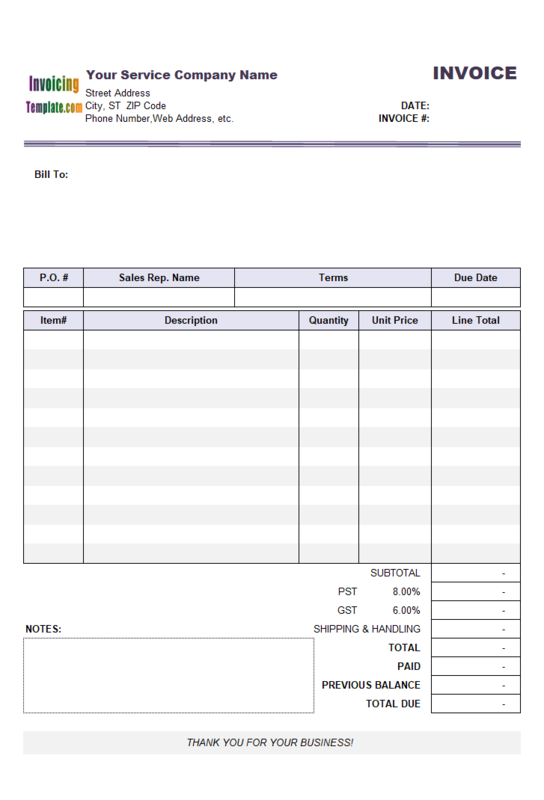 This customized invoice template uses the exactly same database structure and field definition as the original version. 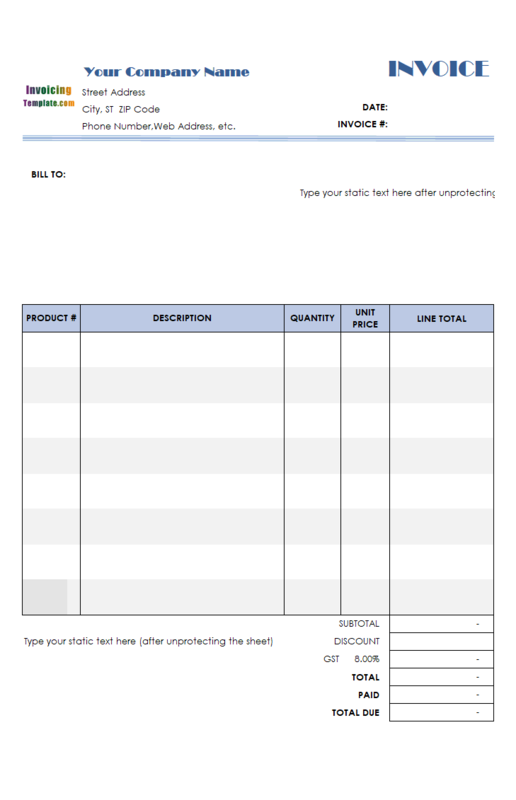 Please refer to the explanation of the original invoice template for information about the price fields and how to set up prices and discounts for your prices. 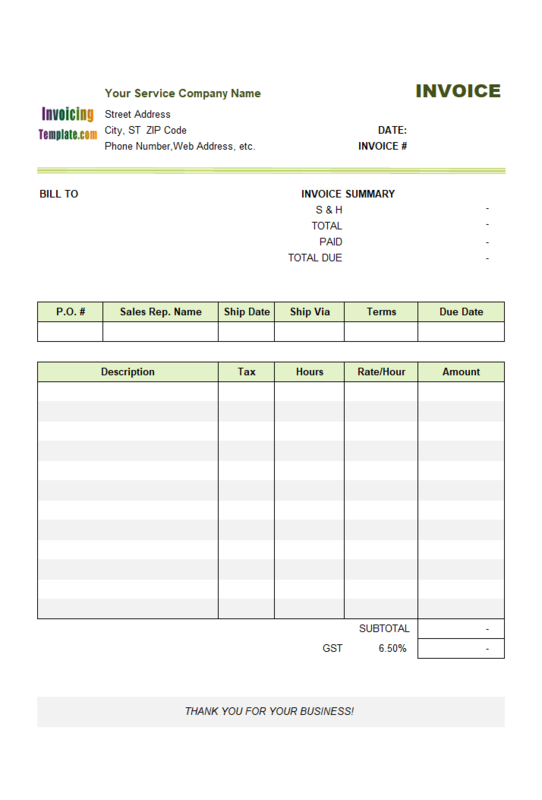 The calculation of tax in this invoice template is also similar to the implementation in the original version. 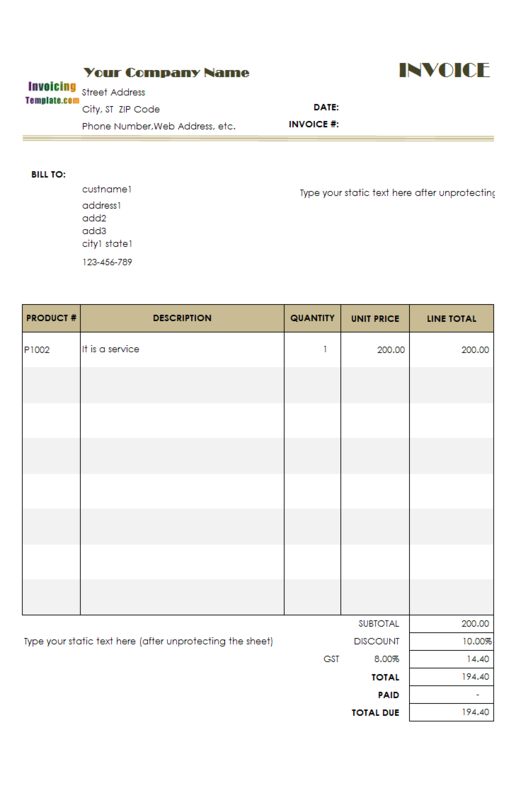 As a sample on customizing the tax rules, it uses only one "taxable" checkbox on the invoice body (but outside the printable area) to control whether to calculate taxes on this invoice template. 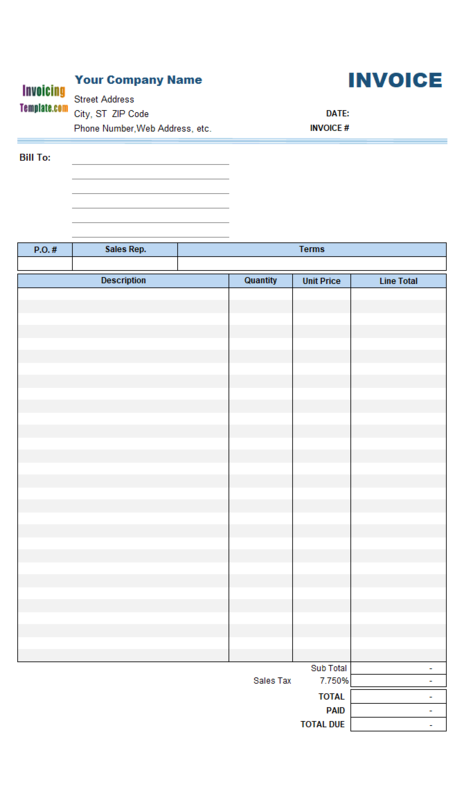 These serials of 5-price invoice templates are all printable on standard A4 paper. 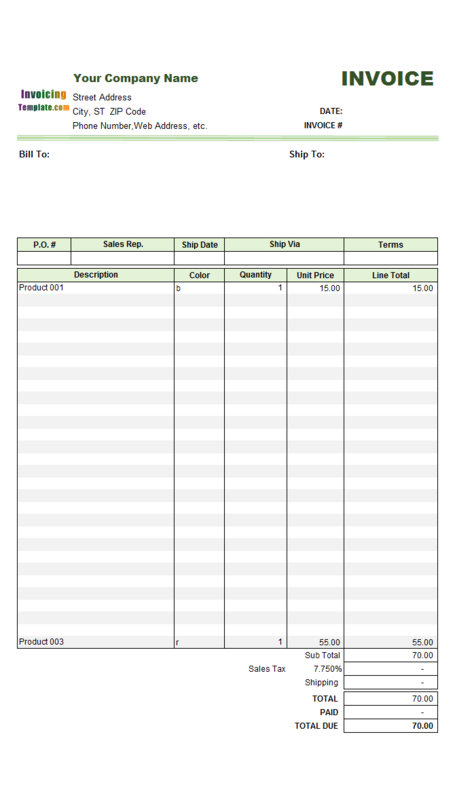 You can set the print options on the Page Setup dialog box. 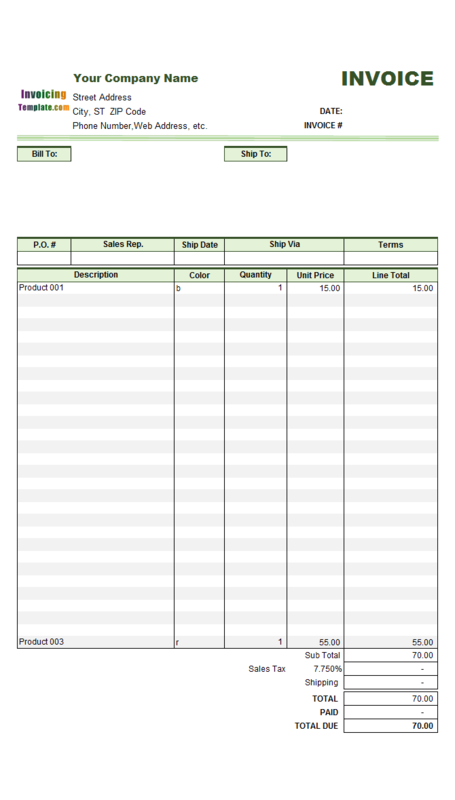 Removed all data validations from all the "Product Description" cells. 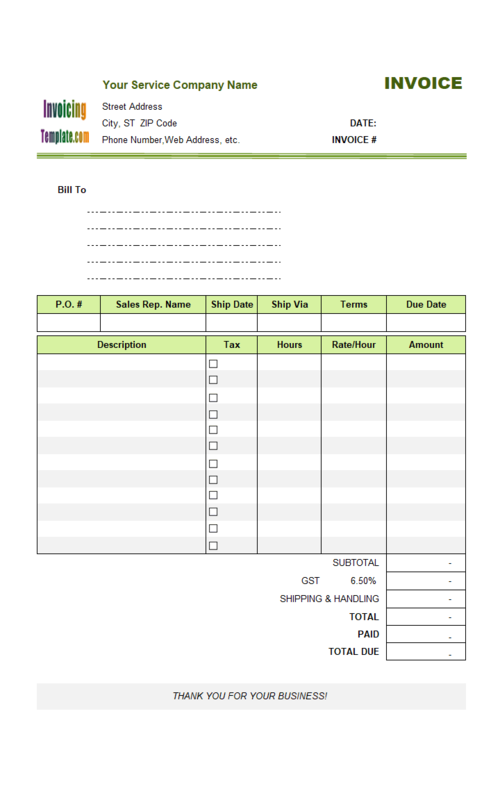 Added bottom borders to all cells inside the "Bill To" section. 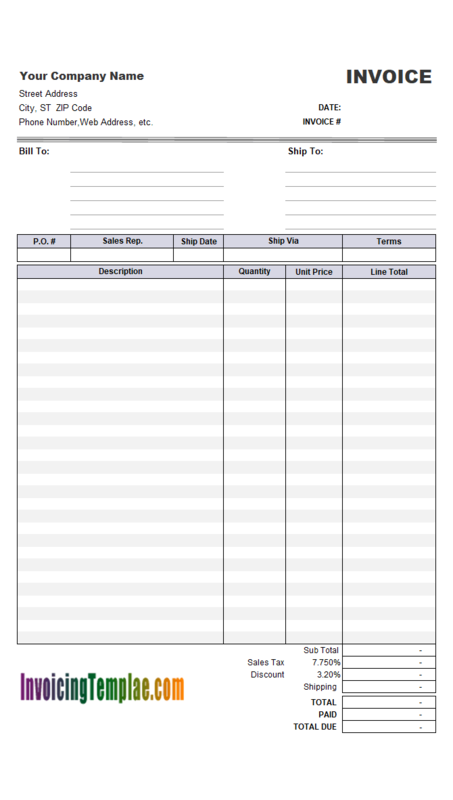 Added a simple usage instruction to the sheet.